heir world class e-commerce website. Cash back is not available for orders that take place through a call center or store associate quote, or Gift Cards. $8.00 cash back on Rentals. 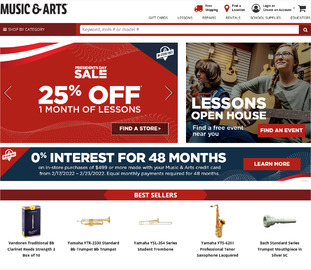 Click a Coupon or click Start Shopping to earn 5% Cash Back at Music & Arts.